Make February 7th the Day You Took Your First Step to Becoming a Police Officer! Make February 7th the day you took your first step to becoming a Police Officer! 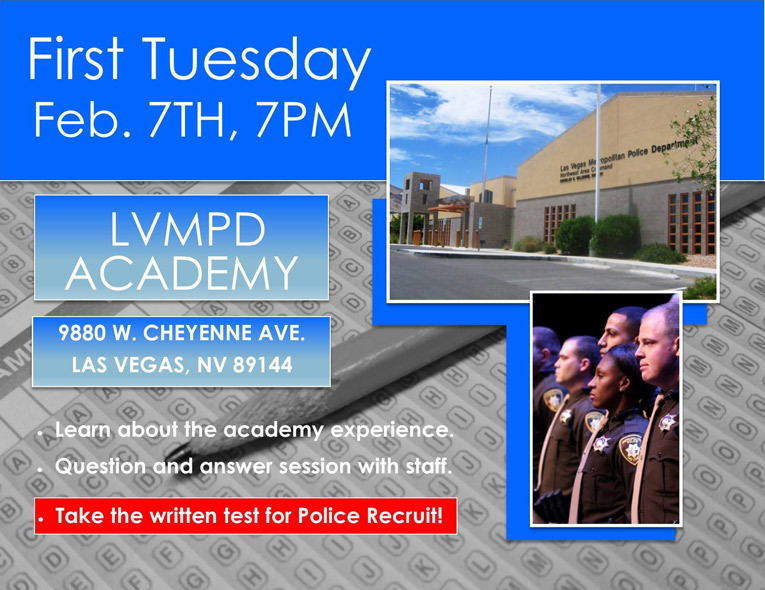 The written test for Police Recruit will be given at First Tuesday. Call (702) 828-5787 for more info. The Academy enterance (Jerry Keller Training Facitity) is off of Metro Academy Way.